Click “Gateway” on the navigation panel. Click “New” to set up launching a new gateway. To launch a gateway with OpenVPN® capability, refer to this link. Aviatrix gateways must be launched in a public subnet. A public subnet in AWS VPC is defined as a subnet whose associated route table has a default route entry that points to IGW. To learn more about VPC and subnets, check out this link. If you do not have a VPC with public subnet, you can use our “Create a VPC” tool to create a VPC with fully populated public and private subnet in each AZ. If you need IPSec performance beyond 1.2Gbps - 1.5Gbps, refer to Cluster Peering. Aviatrix gateways are launched with a default public DNS server IP address 8.8.8.8 to ensure the gateway has access to AWS public resources such as SQS for Controller and gateway communication. If you want to change to a different DNS server, select the box for “Specify a Reachable DNS Server IP Address” to enter an alternative DNS IP address. The Aviatrix gateway will perform Source NAT (SNAT) function when this option is selected. All VPC routing tables for private subnets are automatically programmed with 0.0.0.0/0 points to the gateway. The function can be enabled at gateway launch time, or any time afterwards. Launch a gateway without SNAT option selected. Go to AWS Console to remove the existing 0.0.0.0/0 route entry from the route table. Go to the Gateway page, highlight the desired gateway, click Edit, Scroll down to SNAT and click Enable. If this option is selected, the Aviatrix gateway allocates a new EIP for the gateway from AWS. When the Aviatrix gateway is deleted, the Controller will release this EIP. If this option is unchecked, the gateway will be allocated an unassociated EIP from the AWS account from which the gateway is launched. When the Aviatrix gateway is deleted, the Controller will return this EIP to your AWS account without releasing it. When this option is selected, the Aviatrix gateway will used for SSL VPN termination. It supports OpenVPN® client and Aviatrix SAML client. For more details, check out this link. When SAML is enabled, a VPN client/user authenticates to an identify provider (IDP) directly, instead of the gateway doing it on behalf of the user. In this case, you must use Aviatrix VPN Clients. Check out the details on how to configure and use Aviatrix VPN Clients for SAML. When a VPN user connects to the VPN gateway, the user will be assigned a virtual IP address from a pool of IP addresses. This pool of IP addresses is defined as the VPN CIDR Block. The default IP address pool is 192.168.43.0/24. The only reason you would want to change this address pool is if 192.168.43.0/24 overlaps with your desktop or laptop network address range. For example, if you are on a LAN with a network CIDR 10.0.0.0/24, your desktop IP address will never conflict with your VPN virtual IP address. On the other hand, if your desktop is on a LAN with a network CIDR 192.168.20.0/16, your VPN virtual IP address might conflict with your LAN address. In this case, change the VPN CIDR Block to a different address range, for example, 10.10.0.0/24. You can select either Duo or Okta for the VPN gateway to authenticate to these two services on behalf of a VPN user. In this case, you can use OpenVPN® clients such as Tunnelblick for iOS and OpenVPN for Windows. For how to configure Duo, check out: How to configure Duo. For how to configure Okta, check out: How to configure Okta. Maximum number of active VPN users allowed to be connected to this gateway. The default is 100. When you change this address, make sure the number is smaller than the VPN CIDR block. OpenVPN® VPN CIDR Block allocates 2 IP addresses for each connected VPN user; when the VPN CIDR Block is a /24 network, it supports about 120 users. Split Tunnel Mode is enabled by default. When Split Tunnel mode is enabled, only traffic that is destined to the VPC/VNet CIDR where the VPN gateway is deployed is going into the VPN tunnel when a user is connected to the VPN gateway. When Split Tunnel Mode is disabled (Full Tunnel Mode), all laptop traffic, including Internet traffic (such as a visit to www.google.com), is going through the VPN tunnel when a user is connected to the VPN gateway. Disabling Split Tunnel Mode should be a deliberate decision as you will be charged all Internet traffic as they are considered egress traffic by the cloud provider (AWS/Azure/GCP). This is an optional parameter. The VPC CIDR where the VPN gateway is deployed is the default CIDR that VPN gateway pushes to the VPN client. Leave it blank if you do not need it. When Split Tunnel Mode is enabled, the Additional CIDRs specifies a list of destination CIDR ranges that will also go through the VPN tunnel. This is a useful field when you have multiple VPCs that the VPN user needs to access. This is an optional parameter. Leave it blank if you do not need it. When Split Tunnel Mode is enabled, you can instruct the VPN gateway to push down a list of DNS servers to your desktop, so that a VPN user is connected, it will use these DNS servers to resolve domain names. When Split Tunnel Mode is enabled, Search Domains let you specify a list of domain names that will use the Nameserver when a specific name is not in the destination. “Enable ELB” is turned on by default. When ELB is enabled, the domain name of the cloud provider’s load balancer, such as AWS ELB, will be the connection IP address when a VPN user connects to the VPN gateway. This connection IP address is part of the .ovpn cert file the Controller send to the VPN client. Even when you delete all VPN gateways, you can re-launch them without having to reissue new .ovpn cert file. This helps reduce friction to VPN users. When ELB is enabled, you can launch multiple VPN gateways behind ELB, thus achieving a scale out VPN solution. Note since AWS ELB only supports TCP for load balancing, VPN gateways with ELB enabled run on TCP. This is an optional parameter. Leave it blank if you do no need it. The ELB Name is used for GCP only. By enabling the client certificate sharing, all VPN users share one .ovpn file. You must have MFA (such as DUO + LDAP) configured to make VPN access secure. PBR enables you to route VPN traffic to a different subnet with its default gateway. By default, all VPN traffic is NATed and sent to VPN gateway’s eth0 interface. If you want to force the VPN traffic to go out on a different subnet other than VPN gateway eth0 subnet, you can specify a PBR Subnet in the VPC and the PBR Default gateway. One use case for this feature is Anonymous Internet Surfing. When LDAP authentication is enabled, the VPN gateway will act as a LDAP client on behalf of the VPN user to authenticate the VPN user to the LDAP server. The Aviatrix gateway is launched with a default tag name avx-gateway@private-ip-address-of-the-gateway. This option allows you to add additional AWS tags at gateway launch time that you can use for automation scripts. The target of each of these entries will point to the Aviatrix Gateway instance. Once enabled, Transit VPC, Site2Cloud and Encrypted Peering connections will no longer add additional route entries to the route table if the destination range is within one of these RFC1918 ranges. Instead, the Aviatrix Gateway will maintain the route table internally and will handle routing for these ranges. The Designated Gateway feature is automatically enabled on spoke gateways created by the Transit Network workflow. Once complete, your route table(s) will be updated with the CIDR range(s) provided. Starting Release 3.0, gateway security policy page has been moved Security -> Stateful Firewall. Check out this guide. There are 3 types of high availability on Aviatrix: “Gateway for High Availability”, “Gateway for High Availability Peering” and Single AZ HA. This feature has been deprecated. It is listed here for backward compatibility reasons. When this option is selected, a backup gateway instance will be deployed in a different AZ if available. This backup gateway keeps its configuration in sync with the primary gateway, but the configuration does not take effect until the primary gateway fails over to backup gateway. When using Terraform, this option is described by parameter "ha_subnet" by resource gateway. When this option is selected, a backup gateway instance will be deployed in a different AZ if available. If you have built Aviatrix Encrypted Peering and need HA function for tunnel down fail over, you can select this option. This backup gateway keeps backup VPN tunnels up, ready for fail over. If you use Aviatrix gateway for Egress Control function and need HA function, you should select this option. This option will try to load balance the traffic from different route tables to primary and backup gateways. If you consider to deploy Aviatrix Transit Network, high availability is built into the workflow, you do not need to come to this page. When using Terraform, this option is described by parameter "peering_ha_subnet" by resource gateway. When enabled, the Controller monitors the health of the gateway and restart the gateway if it becomes unreachable. No secondary gateway is launched in this case. When using Terraform, this option is described by parameter "single_az_ha" by resource gateway. You can change Gateway Size if need to change gateway throughput. The gateway will restart with a different instance size. To configure, click Gateway on the left navigation panel, select the desired gateway, click Edit. Scroll down to “Gateway Resize” and in the drop down menu, select the new gateway instance size. Click “Change”. The gateway instance will be stopped and restarted again with the new instance size. You can enable and disable NAT function after a gateway is launched. NAT function enables instances on private subnet to access the Internet. When NAT is enabled, all route tables for private subnets in the VPC are programmed with an route entry that points the gateway as the target for route entry 0.0.0.0/0. When “Single IP” is selected, the gateway’s primary IP address is used as source address for source NAT function. This is the simplest and default mode when you enable NAT at gateway launch time. When “Multiple IPs” is selected, the gateway translates the source address to the pool of the multiple IPs in a round robin fashion. The multiple IPs are the secondary IP addresses of the gateway that you need to setup first. When “Customized SNAT” is selected, the gateway can translate source IP address ranges to different SNAT address and ports, as shown below. Check out this link for an example configuration. Src CIDR This is a qualifier condition that specifies a source IP address range where the rule applies. When left blank, this field is not used. Src Port This is a qualifier condition that specifies a source port that the rule applies. When left blank, this field is not used. Dst CIDR This is a qualifier condition that specifies a destination IP address range where the rule applies. When left blank, this field is not used. Dst Port This is a qualifier condition that specifies a destination port where the rule applies. When left blank, this field is not used. Protocol This is a qualifier condition that specifies a destination port protocol where the rule applies. When left blank, this field is not used. Interface This is a qualifier condition that specifies output interface where the rule applies. When left blank, this field is not used. Mark This is a qualifier condition that specifies a tag or mark of a TCP session where the rule applies. When left blank, this field is not used. SNAT IPs This is a rule field that specifies the changed source IP address when all specified qualifier conditions meet. When left blank, this field is not used. One of the rule field must be specified for this rule to take effect. SNAT Port This is a rule field that specifies the changed source port when all specified qualifier conditions meet.. When left blank, this field is not used. One of the rule field must be specified for this rule to take effect. Destination NAT (DNAT) allow you to change the destination to a virtual address range. Source CIDR This is a qualifier condition that specifies a source IP address range where the rule applies. When left blank, this field is not used. Source Port This is a qualifier condition that specifies a source port that the rule applies. When left blank, this field is not used. Destination CIDR This is a qualifier condition that specifies a destination IP address range where the rule applies. When left blank, this field is not used. Destination Port This is a qualifier condition that specifies a destination port where the rule applies. When left blank, this field is not used. Mark This is a rule field that specifies a tag or mark of a TCP session when all qualifier conditions meet. When left blank, this field is not used. DNAT IPs This is a rule field that specifies the translated destination IP address when all specified qualifier conditions meet. When left blank, this field is not used. One of the rule field must be specified for this rule to take effect. DNAT Port This is a rule field that specifies the translated destination port when all specified qualifier conditions meet. When left blank, this field is not used. One of the rule field must be specified for this rule to take effect. Networking mapping is a destination address translation scheme where the destination address range is one to one mapped to a virtual address range. A configuration example can be shown below, where “Real Destination CIDR” 10.10.10.0/24 is mapped to “Virtual Destination CIDR” 100.100.10.0/24. This feature allows you to enforce that no unauthorized EC2 instances being launched on the gateway subnet. Since an Aviatrix gateway must be launched on a public subnet, if you have policies that no EC2 instances can be launched on public subnets, this feature addresses that concern. When it is enabled, the Controller monitors periodically on the selected subnet where gateway is launched from. If it detects EC2 instances being launched, the Controller sends an alert email to admin and immediately stops the instance(s). You can exclude certain instances by entering instance IDs separated by commas. Highlight a gateway, click Edit. Scroll down to Monitor Gateway Subnet. Click Enable and then optionally enter excluding instance ID(s). Click OK when finished. Click Disable to remove all excluding instance ID(s). Gateway status is dictated by the following factors. State of the gateway as reported by the cloud provider. Connectivity between Controller and gateway over HTTPS (TCP port 443). Status of critical services running on the gateway. An Aviatrix Gateway could be in any of the following states over its lifetime. WAITING: This is the initial state of a gateway immediately after the launch. Gateway will transition to UP state when controller starts receiving keepalive messages from the newly launched gateway. UP: Gateway is fully functional. All critical services running on the gateway are up and gateway and controller are able to exchange messages with each other. DOWN: A gateway can be down under the following circumstances. Gateway and controller could not communicate with each other over HTTPS(443). Gateway instance (VM) is not in running state. Critical services are down on the gateway. KEEPALIVE-FAIL: Controller did not receive expected number of keepalive messages from the gateway during a health check. UPGRADE-FAIL: Gateway could not be upgraded due to some failure encountered during upgrade process. To upgrade the gateway again, go to the section “FORCE UPGRADE” which can be found here. CONFIG-FAIL: Gateway could not process a configuration command from the controller successfully. Please contact support@aviatrix.com for assistance. If a gateway is not in UP state, please perform the following steps. Examine security policy of the Aviatrix Controller instance and make sure TCP port 443 is opened to traffic originating from gateway public IP address. Examine security policy of the gateway and make sure that TCP port 443 is opened to traffic originating from controller public IP address. This rule is inserted by Aviatrix controller during gateway creation. Please restore it if was removed for some reason. Make sure network ACLs or other firewall rules are not configured to block traffic between controller and gateway over TCP port 443. As mentioned in the previous section, gateway sends periodic keepalive messages to the Controller. The following templates can be used to control how frequently gateways send keepalives and how often the Controller processes these message, which in turn will determine how quickly the Controller can detect gateway state changes. Medium is the default configuration. A gateway is considered to be in UP state if controller receives at least 2 (out of a possible 5) messages from that gateway between two consecutive health checks. For example, with medium setting, gateway down detection time, on average, is 1 minute. Settings -> Advanced -> Keepalive. In the drop down menu, select the desired template. The main use case for this feature is to enable you to configure source NAT function that maps to multiple IP addresses, instead of a single one. When used for this purpose, you need to go to AWS console to first allocate an EIP, then associate each secondary IP with an EIP to complete the function. This feature is currently available for AWS. When enabled, this feature removes the default DNS server for the Aviatrix gateway and instructs the gateway to use the VPC DNS server configured in VPC DHCP option. When disabled, the Aviatrix gateway will revert to use its built-in (default) DNS server. If you enable Logging on the Aviatrix Controller, all Aviatrix gateways forward their log information to the configured log server. But if the log server is deployed on-prem with a private DNS name, the Aviatrix gateway’s default DNS server cannot resolve the domain name of the private log server. By enabling the VPC DNS server, the gateway will start to use VPC DNS server which should resolve the private DNS name of the log server. When enabling this feature, we check to make sure the gateway can indeed reach the VPC/VNet DNS server; if not, this command will return an error. A caveat is noted when this feature is applied to a Transit Network. When this option is selected, Aviatrix Controller will look for a spare /25 subnet segment to create a new subnet. The instance sizes that support Insane Mode are c5 series and m5 series. Insane Mode encryption is an Aviatrix technology that enables 10Gbps and higher IPSEC performance between two single Aviatrix gateway instances or between a single Aviatrix gateway instance and on-prem Aviatrix appliance. For more infor, read this document to learn all about Aviatrix Insane Mode for high performance Transit Network. This feature allows you to customize Spoke VPC route table entry by specifying a list of comma separated CIDRs. When a CIDR is inserted in this field, automatic route propagation to the Spoke(s) VPC will be disabled, overriding propagated CIDRs from other spokes, transit gateways and on-prem network. One use case of this feature is for a Spoke VPC that is customer facing and your customer is propagating routes that may conflict with your on-prem routes. When this is enabled on an Aviatrix Transit Gateway, all Spoke VPCs route tables are customized. When it is enabled on an Spoke gateway, only that gateway VPC route table is applied. This feature does not apply to AWS Transit Gateway (TGW) attached Spoke VPCs. 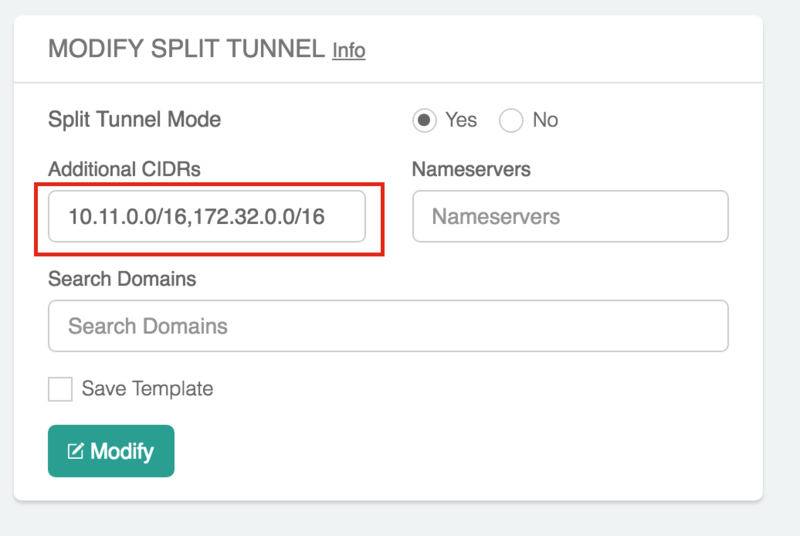 This feature allows you to filter on-prem network CIDRs to Spoke VPC route table entry. The unwanted list of CIDRs should be entered as input. This list of CIDRs should be comma separated. One use case of this feature is for a Spoke VPC that is customer facing and you do not wish your customer to access all your on-prem network CIDRs. The list of the filtered out CIDRs can be a super set of on-prem learned routes. For example, if the on-prem learned routes are 100.10.0.0/24 and 100.10.1.0/24, you can enter 100.10.0.0/16 to filter out both routes. If the filtered out CIDR is a subnet of on-prem learned CIDR, the filtered CIDR won’t work. When it is applied to the Aviatrix Transit Gateway, all attached Spoke VPCs will filter on the configured routes. When it is applied to a specific Spoke VPC, only the Spoke VPC route table is affected. This feature does not apply to AWS Transit Gateway (TGW) attached Spoke VPCs. This feature enables you to selectively exclude some VPC CIDRs from being advertised to on-prem. One use case is if you have Spoke VPCs that have multiple CIDR blocks, among which some of them are overlapping. If you attach these Spoke VPCs, Aviatrix Controller will reject as there are overlapping CIDRs. By excluding the overlapping CIDRs, you will be able to attach the Spoke VPCs. When this feature is enabled on a Transit Gateway, every one of its remote Transit Peers does not advertise to its on-prem network all the Spoke VPCs and on-prem routes learned by this Transit Gateway, except when the link to the on-prem goes down at which point one of the remote Transit Peer starts to advertise to its on-prem network all the Spoke VPCs and on-prem routes learned by this Transit Gateway. One use case is a connected multi sites on-prem network, where each site is connected to the cloud via Aviatrix Transit Gateways and the Transit Gateways are full mesh connected. In such case, each Transit Gateway learns all Spoke VPCs and on-prem network CIDRs. Without enabling this feature, route conflicts happen for the on-prem network. With this feature enabled, there is no route conflict to on-prem and any Spoke VPC has a redundant route to on-prem.